As new responsibilities keep adding up at this age, we cannot take a big gamble, but this is also the crucial time to earn money for future endeavors. One of the most crucial periods of our life is considered to be between 30 to 35 years of age. During this period, a lot of transformation takes place as people get married, new responsibilities related to family get added, the peak time of our career arrives and also, we are at the preeminent position of achieving our aspirations. 32 is an age where we have to excel in financial earnings within certain boundaries of responsibilities. All this seems to be a matter of worry, but do not worry, for we will guide you at this crucial age. The following points describe how a 32-year-old should invest. 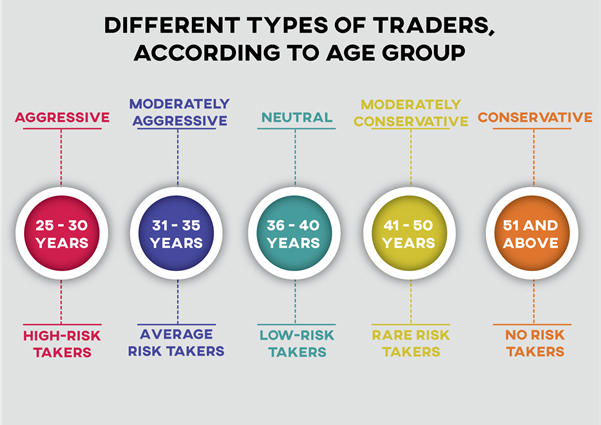 A 32-year-old should trade in a moderately aggressive manner. As we know, the returns we earn in the share market are dependent on the amount of risk we take. As new responsibilities keep adding up at this age, we cannot take a big gamble, but this is also the crucial time to earn money for future endeavors. 60% of your investment should be in equity. For trading in equities, we can use different instruments like trading in the derivatives market, investing through IPOs (initial public offerings) or directly buying stocks in the share market. 20% of the investments should be done in mutual funds. These are low-risk investment methods with good returns. For buying mutual funds, we can also use the method of SIP (Systematic Investment Plan), where we make regular payments. 10% of the investment should be done in bonds as they are considered to be the safest investment instruments. Bonds give regular income as they are debt instruments. Now, the final 10% should be invested in buying insurance products which provide returns in the long term. While investing or creating the portfolio, we should always think of our long-term goals rather than concentrating on short-term earnings. Long-term investment planning will help in reducing future liabilities. Once our portfolio is ready, it is essential to maintain it. 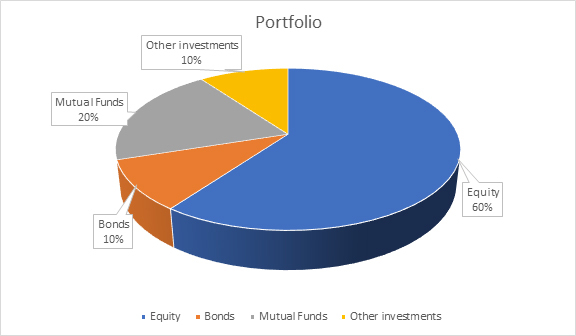 The balance of the portfolio should always be kept, and necessary actions should be taken for the same. Grab every opportunity to earn in the share market. As we know these days, IPOs are in a boom so we should try applying for as many good IPOs as we can. Buy stocks and try holding them for the long term. It is always good to add more shares at regular intervals or whenever there is a dip in stock price. All this planning is necessary to be done at this age to secure one’s future.